I am, and have always been a movie fan, a cinema junkie, dare I go so far as to say a film snob. I love award season because it allows even a guy like me to wax eloquently (or as eloquently as my feeble mind can handle) on what should win, what I think shouldn’t and because I follow all the myriad blogs and predictors I can act like I know what I’m talking about come Oscar time. I love the grandeur and tradition of the Academy Awards, I love the BAFTAs, the SAGs and all the other guild showcases but my favorite of all the celebrations of cinema that are out there is the Film Independent Spirit Awards, the “Indie Spirits”. These awards celebrate an ethos that hits me right in the heart when it comes to cinema and art in general. Don’t get me wrong, I love a good popcorn movie as much as the next guy, I can suspend reality and appreciate the magic that these CG artists do these days. But when it comes down to it, give me good human storytelling and do it with conviction and credibility and you don’t necessarily need a multi million dollar budget and a focus group. The cool part for me as a voting member of Film Independent, the governing body of the Spirit awards, I get tons screeners for movies that are nominated and I get to vote for the awards just like any number of industry bigshots, plus my membership dues go to help Film Independent do the work they do in encouraging and helping your filmmakers do the work they do. If you are interested in joining yourself, check out https://www.filmindependent.org. That all being said. 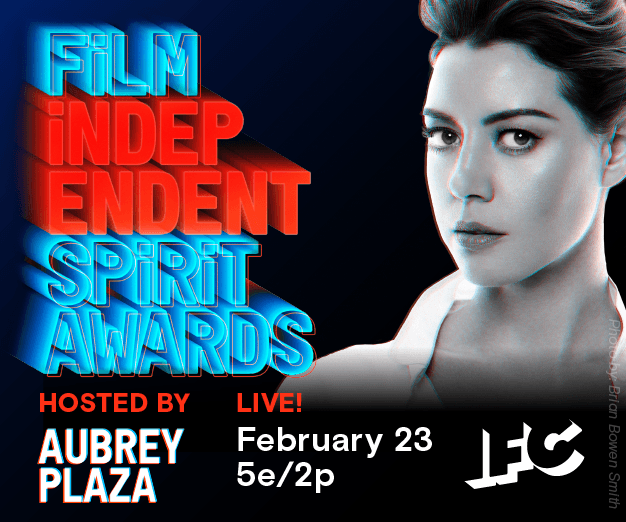 The “Indie Spirits” are this Saturday (Feb 23) at 5PM and will air live on IFC. The following is my take on the nominations, I have seen every movie. I’ll save the big award for last. I’ll be posting my Oscar Preview hopefully by Saturday. Ari Aster’s fanatically grueling family drama is a new take on the tired horror genre. Toni Collette, who seems incapable of giving a bad performance is so good in this movie. The story never drags and is full of enough Hitchcockian twists and turns that one is never tempted to look at the one’s watch as this film progresses. However my vote went to “Sorry to Bother You”, Boots Riley’s sharp as a tack dystopian satire of everything from work, race, protest and class. This movie is not everyone’s cup of tea, and at times it is a bit of an acid trip but stick with it and strap in for a hell of a ride and see what cinematic risk taking really means. Holy crap, this movie is a breathtaking rollercoaster of a picture and the majority of the story was crated in the editing room. I won’t give anything away. This is a really good movie, I could compare it favorably to Taxi Driver but in a year where Paul Schrader is on the ballot I better not. Director Jim McKay has been turning out great movies at HBO now and again and this is his best so far. Can’t wait to see what he comes up with next. I loved this movie. This is the best movie made this year and maybe in the last few years. With every frame looking like it could hang in an art gallery, Alfonso Cuarón tells his amazing story of life in a middle class family in Mexico through the eyes of a domestic worker. I can’t say enough about this film. Entirely beautiful, heartbreaking and triumphant. After it’s stunning Oscar snub FI will be chomping at the bit to get some recognition on this ode to kindness. I love documentaries and every one of these is good. The Tale was a gripping personal, true account of abuse suffered at the hands of people who screenwriter Jennifer Fox trusted as a child. The story is told so well in an altogether excellent movie. This category is tough and it would not surprise me to have any one of these win the award. Hereditary seems special though and I will admit, that the deck is loaded if you have the incomparable Toni Collette in your cast. Again, not to take anything away from the great Paul Schrader and I loved First Reformed (in a couple more minutes you may see how much I loved it) but the kind of writing I WISH I could do, is the kind of writng that Tamara Jenkins does in Private Life. This is all personal preference of course but for me, I am the built in audience for middle aged white folks living in cities having quip filled, angsty conversations. It’s just how I roll. Will Win/Should Win: Richard E. Grant and thank God for it. What a wonderful role in a really great motion picture. I know he’s been shut out so far and I know he won’t win the Oscar but the Indie Spirits is totally in his wheelhouse. This movie should have gotten more attention. Grant was note perfect in an often hilarious, sometimes heartbreaking role. He should win the award based on his performance in his last scene in the film alone. So good. Regina King will snag this one and I cant say it’s undeserving. I do think people want to reward Beale Street and this may be the best chance to do that, but my lord, Thomasin Harcourt McKenzie in “Leave No Trace” is a revelation atticking every scene she was in like a younger Jennifer Lawrence. You may not know her name now, but you will. Ethan Hawke is the king of the indies isn’t he. He’s become one of our better actors and seems to not get the noteriety that he should. This performance should fix that once and for all. Winning the Indie Spirit for Best Female Lead is perhaps just a warm up for the award Glenn Close is, in all likelihood, is about to win the next day, but don’t be fooled into thinking that the acolades bestowed upon her this season are solely “make up” awards because she is “overdue”. She is overdue, but her performance in “The Wife” is astonishingly powerful all on it’s own. Don’t be surprisedif Toni Collette steals this. “Hereditary” got great reviews, and I know Collette is most of the reason for them. I still think this is Glenn Close’s year but I can game out a scenario where the upset takes it. Once again a criminally under appreciated film maker, like I said, he WILL win best screenplay but I can also see him snagging Best Director for this increasingly dark and desperate portrait of a man breaking down in every way imaginable. From the opening moments, where even the aspect ratio of the film is notable, you know right away that this is no ordinary film, directed by one of the true greats of American Cinema. No surprise here in a field full of great movies, “First Reformed” stands head and shoulders above all of these. No mean feat and for reasons I already covered in other parts of this essay. Special notice to “Eighth Grade”, an “anti-John Hughes” take on that awkward year where you are too old for your grade school peers but not old enough for high school yet. You’re being told you’re growing up, but your body fights every move in that direction. Extra points for Josh Hamilton playing a dad, in a teen oriented film, and not a buffoon like in so many other teen oriented comedies. It’s a shame a film made so lovingly will get shut out of these awards but in a class like this, it’s a really tough fight.